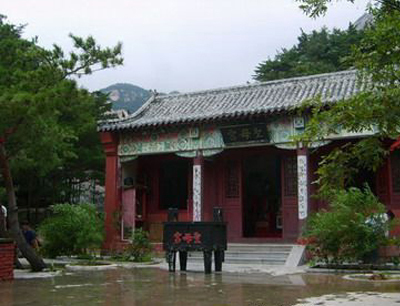 I chose China to study KongFu as I thought it would be the best place to learn about the discipline. 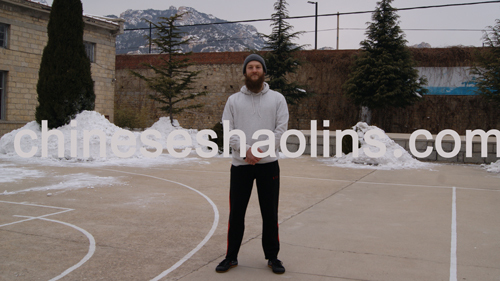 I was interested in the way of life that is complimentary to training KongFu – Qigong, conditioning, sleeping early, rising early .ect – as well as just learning moves and forms. 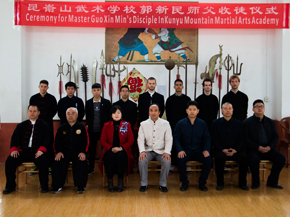 Meeting lots of new people is great in Kunyu mountain academy.I felt influenced by a lot of people. Many of the other students were happy to offer advice, guidance, lend training gear etc. My roommate, Robbie, was a great influence, waking to train at 5 AM every day. Also, Andy who helped me with early morning Qigong, pushed me to train harder and lend me his gloves. Coach Loc is a fantastic coach and teacher. He was always happy to answer questions and is not easy to impress. He made me want to be better. Being in Master Guo’s group was right for me. 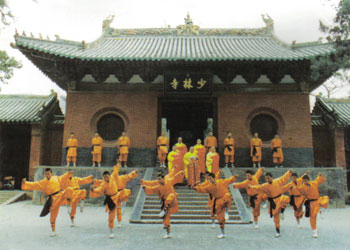 Master Guo was a strong positive energy that really affects the group and makes people want to train harder. I felt this too. I always appreciated him making time to check every student in the session. I have really enjoyed my experience here. I was really glad to be able to get up and practice early morning Taiji with master Xu. I went every day, except for this last week because I got sick and needed more rest. I hav enjoyed learning Wing Chun and will definitely keep training my forms. 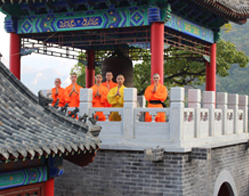 I found Qigong very difficult but will keep practicing because I can fell the positive effect it was had. I really liked all the translators and found them very helpful and positive. I did not expect to be sparring when I first came but am glad I did. There is a very positive atmosphere around the training and it was nice to learn from fellow students who wanted to spar. The mountains are beautiful, I wish I could take them home with me. 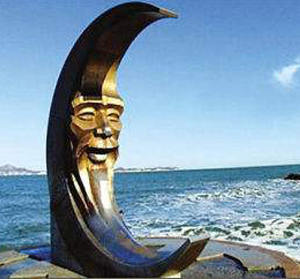 I did not really spend much time in Yantai city but I like Muping.It reminds me of Hackney in London. 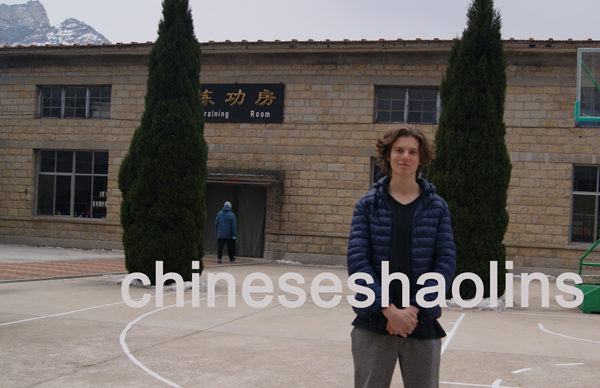 I chose China to study martial arts so I could have an authentic experience and learn from experienced masters. My greatest gain from my training is knowledge in Kung Fu, and pain endurance. 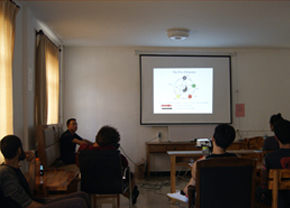 I received a lot of help from Master Guo, Coach Loc, and all the group monitors during my training. The training was very difficult sometimes but was always rewarding. I was always pushed to my limit by my coach and learned how to push myself harder and harder. The food served in the dining hall and small shop was good, and the staff members were nice as well. The translators were all very helpful and nice to me. My master was very tolerant and nice and helped my with anything I needed during training and learning forms. 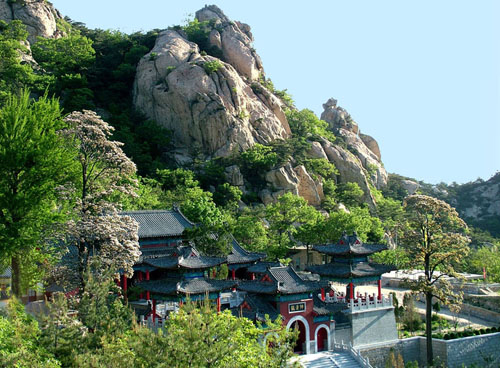 The surrounding mountains and temple are very beautiful and the nearby cities, Muping and Yantai are fun to visit on the weekends. 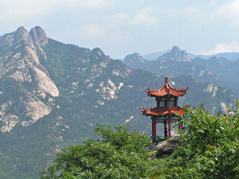 Jackson spent four months in Kunyu mountain through the winter.